This Place of Worship was founded before 1941, and we understand it is still open. 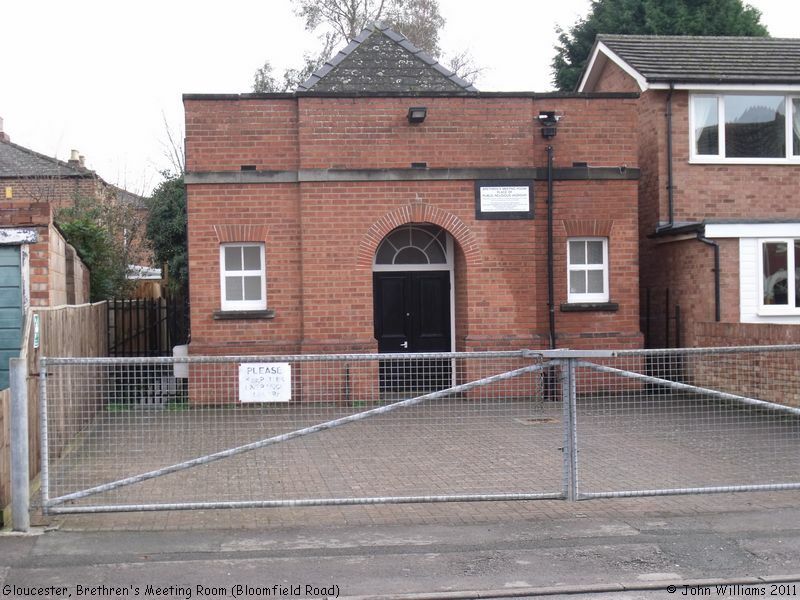 Brethren's Meeting Room, Gloucester shown on a Google Map. Information last updated on 30 Dec 2014 at 14:00. This Report was created 7 Apr 2019 - 01:00:15 BST from information held in the Gloucestershire section of the Places of Worship Database. This was last updated on 7 Feb 2019 at 07:45.